IT IS THE FUTURE -- AND THE DEAD WALK THE STREETS. 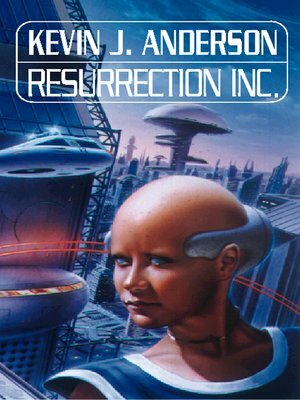 Resurrection, Inc. found a profitable way to do it. All it took was a microprocessor brain, a synthetic heart and blood, and a viola! Anyone with the price could buy a Servant with no mind of its own and trained to obey any command. But for every Servant created, Resurrection, Inc.'s profits became everyone's else's loss. Some take to rioting in the streets, their rampages ruthlessly ended by heavily armed Enforcers, eager for the kill. Others join the ever growing cult of Neo-Satanism, seeking heaven in the depths of hell. Only one man tries to save the world. He is the last hope for the living. His name is Danal, he's dead -- but he remembers. Everything.